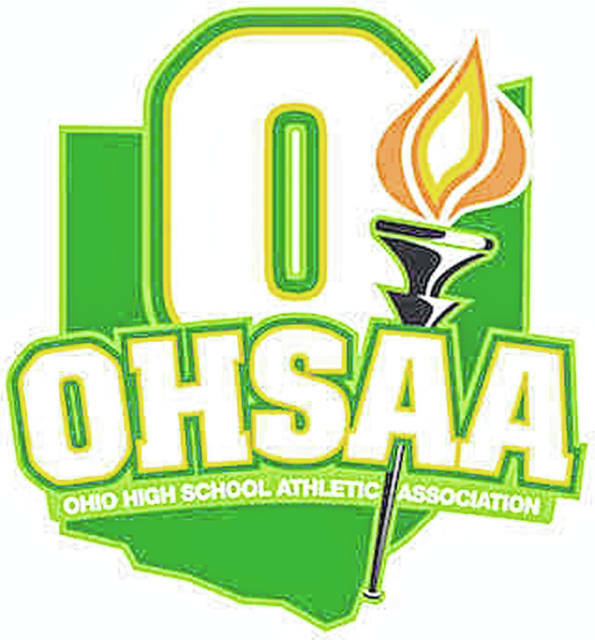 The opening day of the 2019 baseball and softball season featured wins, losses, runs, shutout, homeruns, strikeouts, and much more when Scioto County’s best took the diamond for their first official games. In their opening games of their quest to repeat as regional champs and first games under new skipper Anthony Knittel, Minford (2-0) took State Route 139 to face Jackson, sweeping the Ironmen by a combined 13 runs. Minford’s ace pitcher Ethan Lauder had a field day in the Falcons opening contest, at the plate and on the mound. Lauder got things going for the Falcons at the plate by knocking in the game’s first run with a first inning RBI single. Thanks to a four run fourth inning, Minford would retake the lead at 5-2 after the Ironmen put up two runs in the second. Two more runs each in the sixth and seventh innings would help Minford finish their first victory of the season 9-2 over Jackson. Lauder picked up the victory thanks to his efforts on the mound including 6 IP, just two earned runs, five hits allowed, and five strikeouts. As a team, Minford rallied for 12 hits in their season opener. In their second game of the day against Jackson, the bats for Minford continued at their excellent pace. Four run innings in the second and fifth innings helped propel the Falcons to their second win of the day. In the second, Elijah Vogelsong-Lewis drove in Reid Shultz with an RBI single, Brayden Davis was HPB to bring home Nathan McCormick, Darius Jordan drove in a runner on a sac fly, and Lauder took a ball four walk to give Minford another run with the bases loaded. Vogelsong-Lewis, like Lauder, proved big at the plate and on the mound. The sophomore finished the second game of the Falcons double header with Jackson 3/4 at the plate including one home run and 3 RBIs, 4 IP, with just two earned runs allowed with nine hits and four strikeouts. Falcons will face Zane Trace Monday at home in attempt to start their 2019 campaign at 3-0. The Valley Indians picked up their first win of the season in as many attempts thanks to solid pitching from Tanner Cunningham and relief from Jared Morrow. In five innings pitched, Cunningham allowed just seven hits and zero earned runs with a total of eight strikeouts. In relief, Morrow finished the Indians win off with 2 IP and just one earned run given up. Jake Ashkettle and Jesse Jones led the Indians at the plate by going a combined 3/6 with two and one RBI respectively. Valley will move to take on Piketon Monday at the VA in Chillicothe at 5 p.m. to try and pickup their second victory in as many tries in 2019. In both teams’ opening game of the season, the Clay Panthers showed why they’re going to be a force in Division IV this season with a 11-1 win over county foe Northwest in five innings. Junior Dakota Dodds, the Panthers ace, had an outstanding performance on the mound with a one hitter in 5 IPs, just one walk and 10 strikeouts on the day. Reece Whitley and Clay Cottle each went 3/4 at the plate for a combined 3 RBIs while Cottle crossed the plate three times for runs scored. In Northwest’s loss, their only hit came from catcher Kayden Zumbro on a bunt single in the top of the fifth inning. Clay will face Manchester on Monday while the Mohawks have off days from games until Wednesday when they will face Wheelersburg at home to kick off conference play. In their second game of their double header, the Panthers bats and excellent pitching picked right back up where it left off after their five inning bout with the Mohawks. In total, Clay measured 14 hits, four of which were extra base hits with one home run from Clay Cottle. Bryce Toomire and Dakota Dodds were tied for a game high with two RBI apiece while Brad McCleese went 3/3 with a walk as well. From the mound, Reece Whitley pitched a one hitter in his 3.1 IP with six strikeouts after sitting the previous game behind home plate in his catcher’s position. Shaden Malone and Jaden Jesse finished in relief for the Panthers allowing only one hit in their combined 1.2 IP. Clay will face Manchester at home on Monday to try and improve to 3-0 in 2019. After falling to Clay in their opening double header game, the Northwest Mohawks improved to 1-1 on the year after defeating Peebles later Saturday, 12-7. Northwest will take on Wheelersburg at home Wednesday to try and improve to 2-1. In the Jeeps opening day on the diamond they fell to Whiteoak, a final four team in 2018 in Division IV, 20-10 and 11-1. South Webster will take on East on Monday in the Tartans opening game of the year as each team will search for its’ first win in 2019. In their first game against Russell (Ky.), South Webster managed just seven hits while allowing the Red Devils to rally for seven runs, five of which came in the sixth inning to fall in their season opener, 7-0. Taylor Rawlins went 2/3 at the plate for the Jeeps and managed their only extra base hit during their innings of play. However, after going scoreless in their first game of the day, the Jeeps’ bats came alive better late than never to rally and defeat South Point, 17-15. After four full innings, South Webster trailed the Pointers 14-8. But, thanks to two runs in the 6th and seven runs in the 7th, the Jeeps were able to pick up their first win on the season. Baylee Cox played a huge role in the Jeeps comeback efforts. The junior first baseman went 4/5 at the plate in her team’s come from behind win while also driving in four runs. Rylee McGraw, Gwen Messer, Bri Claxon, Mack Keller, and Emma Bailey were also huge at the plate by going a combined 14/23, driving in 6 runs, and touching all bases a total of 10 times. Bailey also hit her first home run of the 2019 season in the win. McGraw pitched four innings for the Jeeps and allowed nine earned runs and striking out 6 batters. In relief, Claxon and Messer pitched a combined 3 innings, allowing just two hits and one run while allowing zero earned runs. The Jeeps will host East at home on Monday in hopes to improve to 2-1 in the early stages of the ’19 season. Minford softball moved to 1-1 on Saturday after falling to Ironton 5-4 before winning over Coal Grove 8-7. The Falcons will go to Oak Hill on Wednesday with a chance to pick up their first conference win of the season. On their first day of games in their trip to Myrtle Beach in the Ripken Experience annual event, the Portsmouth Trojans fell to Bentworth (PA) and Chartiers Houston (PA) by scores of 14-10 and 6-5 respectively. The Trojans will have a chance to even up their record at .500 before returning home against South Allegheny (PA) and Avonworth (PA) on Sunday. In the Bobcats first game against Piketon, Ava Jenkins stepped up and took on double duty from the plate and on the mound. Jenkins pitched six innings, allowing nine earned runs but striking out six batters. At the plate, she finished 4/4 with two RBI. Jenkins was followed closely at the plate by Kerston Sparks’ first inning home run and tallied three hits in four at bats and freshman Kasey Kimbler who finished 3/5 in her first varsity game. In total, the Bobcats finished with 18 hits in seven innings. In their second game of the day, Green kept the bats going. The Bobcats tallied 12 total hits to bring their total to 30 on the day, three of which came from Rachael Cline who went 3/4 and drove in two runs and Ava Jenkins who went 2/3 and drew a walk. Kori Derifield also drove in two runs on a single in the Bobcats close decision to Piketon. The Bobcats will open their conference schedule on Wednesday when they will host New Boston at 5 p.m.